Well, EPCOT fans. It’s official. As the sun sets on the Norwegian Pavilion’s beloved ride and will soon be rising for its replacement, Maelstrom’s fan base has paid their final respects with an outpouring of emotion worthy of mentioning. From die hard fans lining up to be one of the last guests to take the boat ride to signature drinks from EPCOT restaurants, the ride will not only live on in the minds of so many Walt Disney World fans, but will go down in the annals of Disney history as the boat ride that introduced us to Norway’s history and myths- and the elusive Norwegian troll. Originally intended as a boat ride featuring a troll-centered plot, the ride’s sponsors asked for it to include important aspects of Norwegian history including the god Odin, Norwegian Vikings, and the maritime life that still plays an important part in modern day Norway. On July 5, 1988, Maelstrom opened its doors for visiting Disney guests and the appeal was great for both kids and adults. As one of only two of rides in the World Showcase, the ride was not only fun and informative, but a piece of Norwegian history as well. I know I certainly learned a lesson or two about the history of trolls and their role in forming the Norwegian culture while inside a tiny Viking ship. 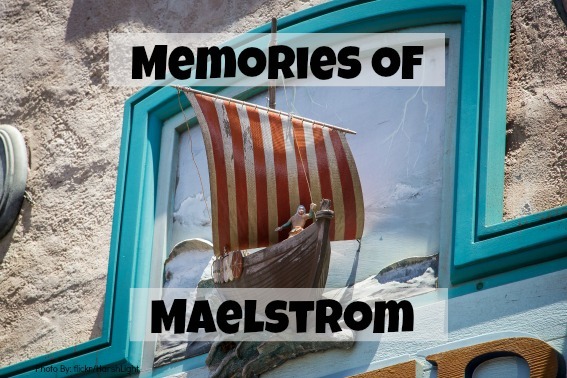 So, for 26 years and 3 months, Maelstrom had been a piece of history for those that visit EPCOT, a place of fun and family, and a memory maker, indeed. If you’re anything like I am, passing time while standing in a ride queue includes the hunt for hidden Mickeys. My family is pretty competitive when it comes to finding them (we even look for them in non-Disney places. Don’t judge. ), so it’s no surprise that the Maelstrom queue and the giant Norwegian mural directly above the boat boarding area kept us occupied with every wait in line. Its detail was simply stunning and, although some say there’s a few hidden Mickeys on it, I can attest to one for certain- a Viking with Mickey ears! The Walt Disney World community has shown their love of Maelstrom with so many salutes and goodbyes, many of which are noteworthy. 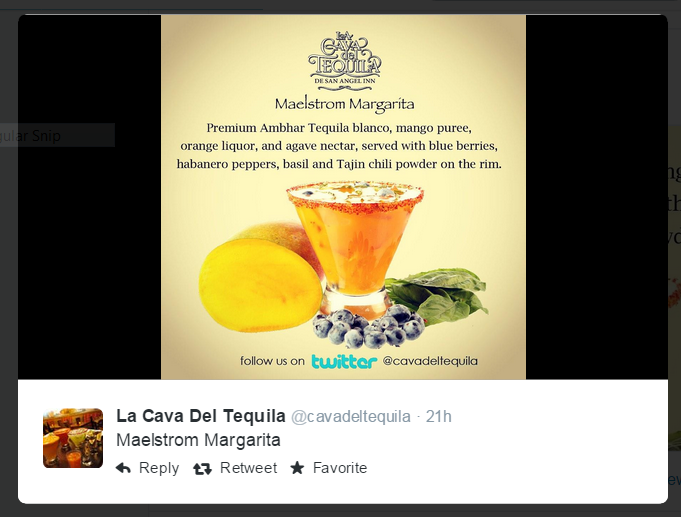 La Cava Del Tequila was thanking its fans on twitter for one of the highest traffic days ever after they posted the signature drink salute. Gracías, La Cava Del Tequila. It’s a special moment in the life of a Disney blogger to be one of the last guests to ride a closing attraction, and Tom Corless of WDW News Today‘s descriptive and moving post on his last ride is definitely worth the read. A fun, 44-second video clip showing the last ride’s announcement touched that warm and fuzzy spot in my heart when I heard on the video, “Ladies and Gentlemen, boys and girls, for the last time, welcome to Norway and to Maelstrom. You might not be the first to pass this way, but you will certainly be the last. ” Thank you, Tom, for catching that magical moment on video! For the full blog post of the final Maelstrom ride from WDW News Today, please click here. Although it was a little sad to see the end of an era loaded up on the back of a flatbed trailer, it was really cool to see at the same time. As the final scene from the ride says, “Norway’s spirit will always be adventure”, it looks as though the Viking ships were on their way to a new adventure. I can only guess where they’re headed. What’s Next for the Norway Pavilion? In September 2014, Disney officially announced that the ride is being replaced by a “Frozen” themed ride attraction. No matter what your preference is or was, the ride is sure to be a huge hit just like the movie of the same name. Scheduled to open in 2016, the ride according to Tom Scaggs at Disney Parks Blog “will take our guests to Arendelle and immerse them in many of their favorite moments and music from the film.” I cannot wait to see all of the teeny Anna’s and Elsa’s queued up for the new ride. Also in the Norway pavilion will be an Anna and Elsa meet and greet, which will definitely take some of the heat off the Magic Kingdom meet and greet area near Cinderella’s Castle. As I look back with fondness on Maelstrom, I can only smile when thinking of my daughter hidden in my armpit on her first time through the ride when we encountered the trolls and how on our last ride in May she was shouting right along with them when the ride takes a backwards path right before its big descent. I will treasure the countless rides on the Viking boats and am proud to say that Maelstrom was always one of my family’s Fastpass and Fastpass+ selections. Karyn Locke, Marketing and Social Media Guroo and Mid-America Guroo for trekaroo.com is a travel writer from Ohio that has a passion for all things Disney and a hankering for Dole Whip Floats at least three times a week. Also creator and blogger for www.sandandorsnow.com, she’s happy to give Disney tips to anyone that asks and is pleased as punch that her family shares her love of the most magical place on earth. I have been through the Maelstrom many times with all three of my children! We are from Norwegian heritage and we rode the Maelstrom one last time on Oct 2nd just last week! I am now 62 and my boys are 38&33. It was as exciting as the first time we entered the attraction. We stood in the small fishing at the completion of the ride and just walked around reminiscing about the years of fun and pleasure this ride always gave us. We stopped and sat down to watch the movie for the very last time! NORWAY lives in its people forever and the Maelstrom will be held in a special place among all of us! Our memories will be “FROZEN” in our memories forever! Thank You Disney! D. Mohre, Cape Cod Ma.